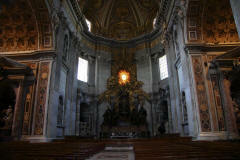 Photos from ROME, Italy by photographer Svein-Magne Tunli, tunliweb. Famous landmarks with description. Pictures, Images, Photographs, Photo Gallery, Photography, Sights, Landscapes. Foto, bilder fra ROMA, Italia. Interactive map Google Earth, Panoramio. 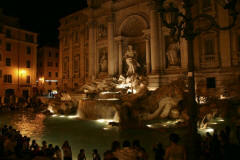 Rome (Italian: Roma) is the capital city of Italy with more than 2.7 million residents. The metropolitan area has a population of about 4 million. 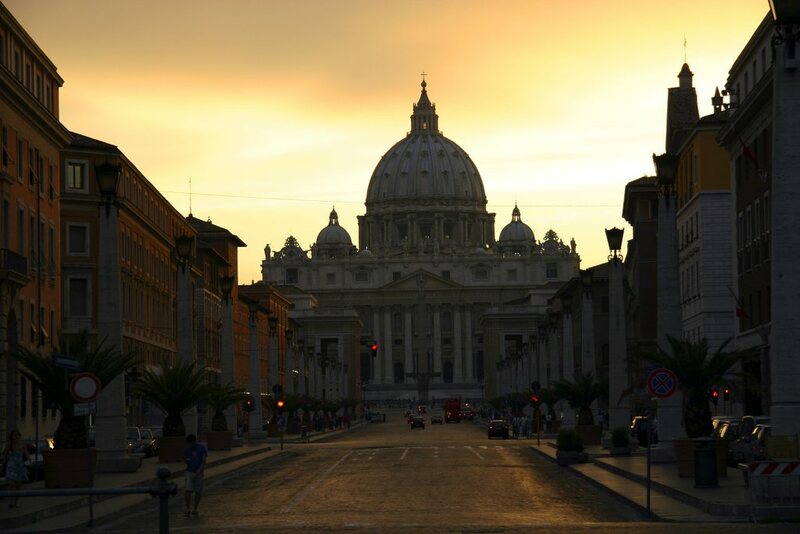 An enclave of Rome is the State of the Vatican City, the sovereign territory of the Holy See and the smallest nation in the world. 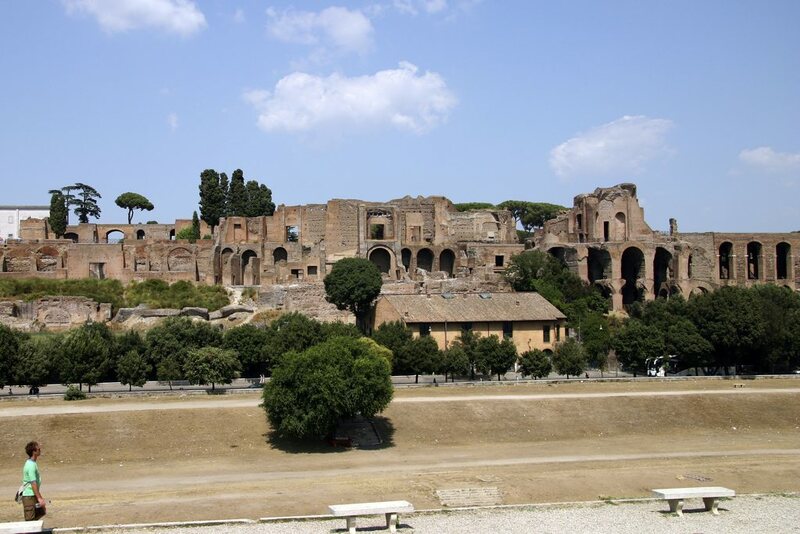 Rome, Caput mundi (Capital of the world) is one of the few major European cities that escaped World War II relatively unscathed. 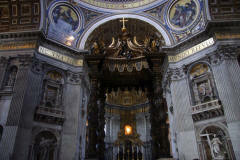 Central Rome remains essentially Renaissance and Baroque in character. 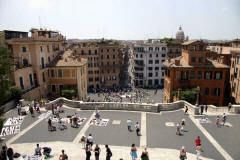 The Historic Center of Rome is listed by UNESCO as a World Heritage Site. 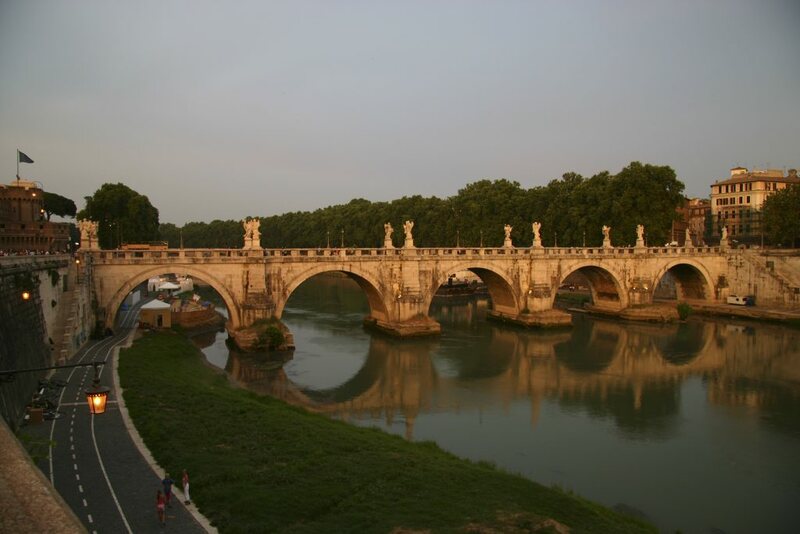 According to a legend, the city of Rome was founded by the twins Romulus and Remus in 753 BC. 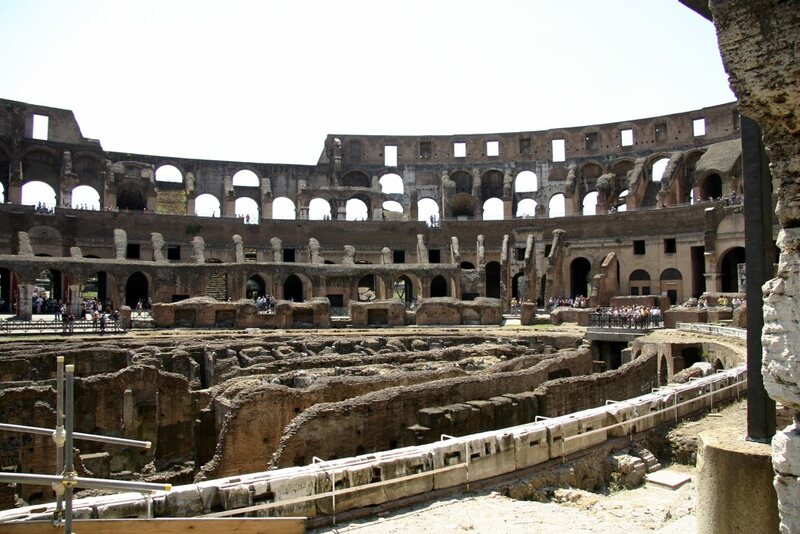 The city developed into the capital of the Roman Kingdom, Roman Republic (from 510 BC), but finally the Roman Empire (from 27 BC); this success depended on military conquest, commercial predominance, as well as selective assimilation of neighboring civilizations. Roman dominance expanded over most of Europe and the shores of the Mediterranean sea, while its population surpassed one million inhabitants. 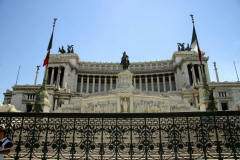 For almost a thousand years, Rome was the most politically important, richest and largest city in the Western world. More information about Rome here and here. 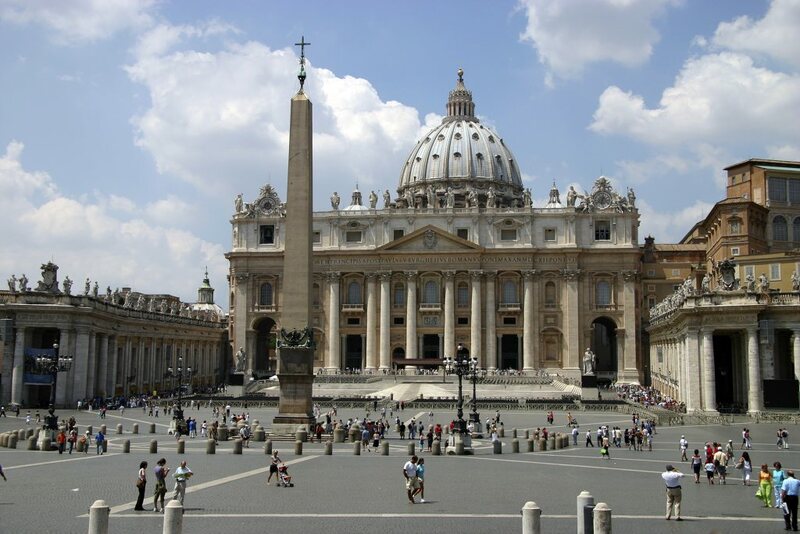 The Basilica of Saint Peter is located within the Vatican City in Rome, and is the best-known church and one of the holiest sites of Christendom. It said to be the finest church on the planet. 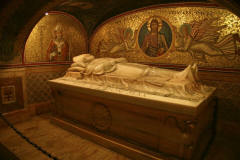 In Catholic tradition, it is the burial site of its namesake Saint Peter, who was one of the twelve apostles of Jesus. There has been a church on this site since the 4th century. 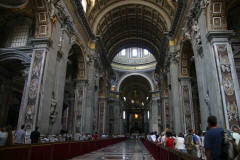 Construction on the present basilica, began on April 18, 1506 and was completed in 1626. 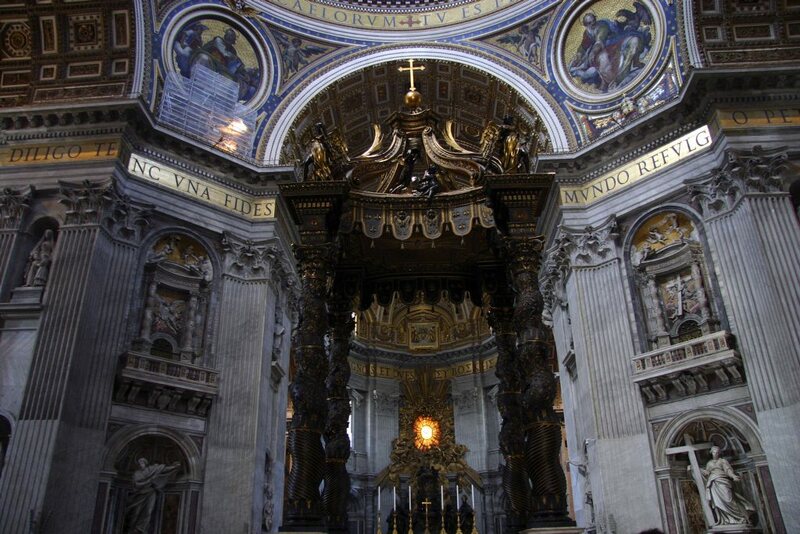 Saint Peter's is famous as a place of pilgrimage, as a work of architecture, for its liturgical functions and for its many historical associations. .... 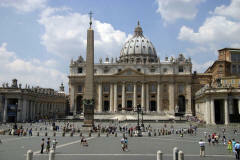 The Basilica of Saint Peter is the most prominent building inside the Vatican City. Its dome is also a dominant feature of the Roman skyline. Possibly the largest church building in Christianity, it covers an area of 2.3 ha and has a capacity of over 60,000 people. Although the Vatican basilica is not the Pope's official seat, it is most certainly his principal church, as most Papal ceremonies take place at St. Peter's due to its size. 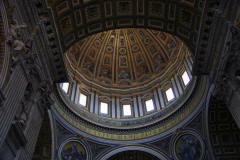 As built, the double dome is brick, 42.3 meters in interior diameter, rising to 120 meters above the floor. 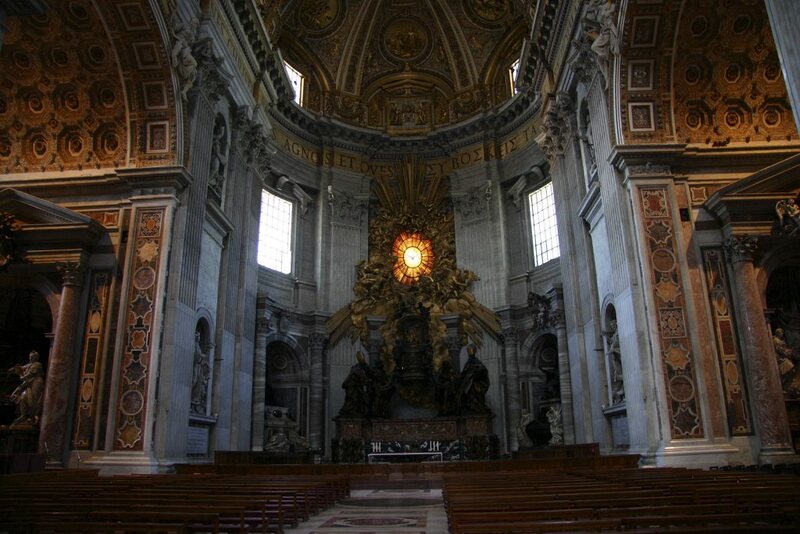 In the mid-18th century, cracks appeared in the dome, so four iron chains were installed between the two shells to bind it, like the rings that keep a barrel from bursting. Visitors who climb the spiral stairs between the dome shells can glimpse them. Pope Johannes Paul II (1920 - 2005) burial place. 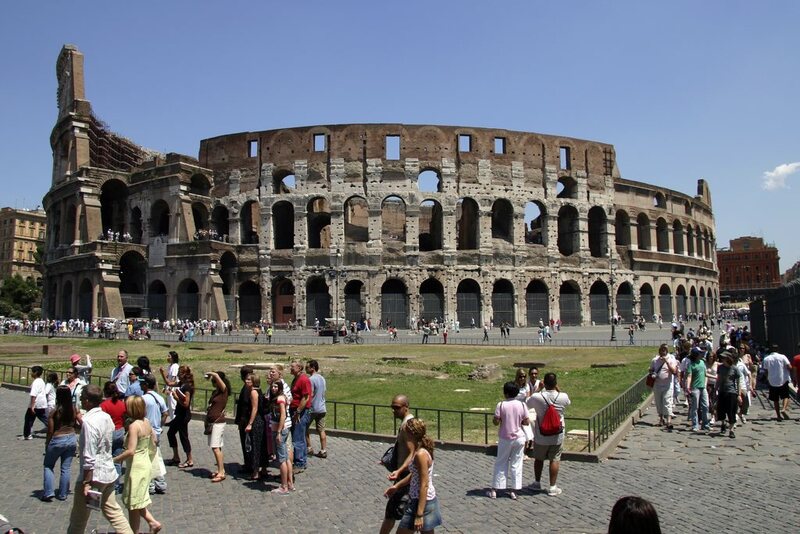 The Colosseum or Coliseum is an elliptical amphitheatre in the centre of the city of Rome, the largest ever built in the Roman Empire. 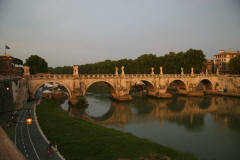 It is one of the greatest works of Roman architecture and engineering. 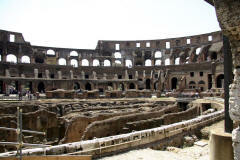 Its construction started between 70 and 72 AD and was completed in 80 AD. 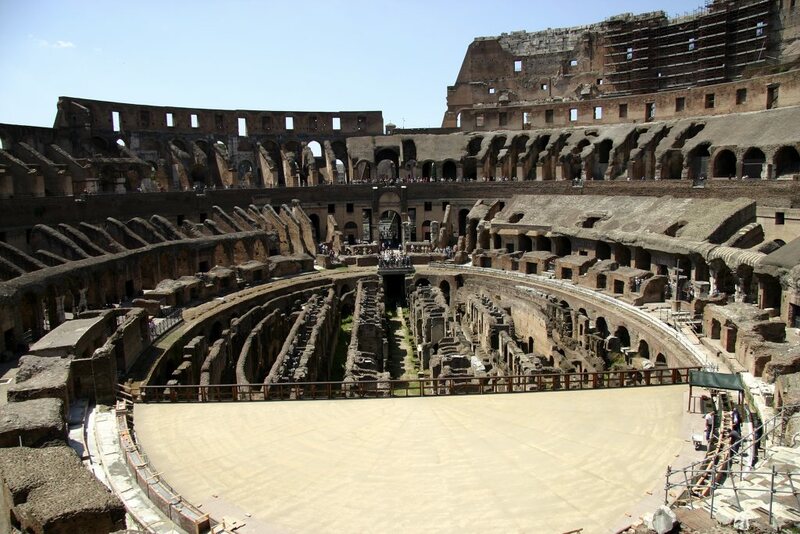 Originally capable of seating around 50,000 spectators, the Colosseum was used for gladiatorial contests and public spectacles. 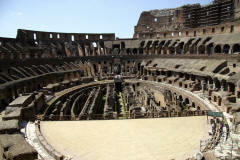 It remained in use for nearly 500 years with the last recorded games being held there as late as the 6th century. 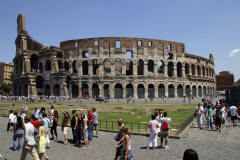 Today Colosseum is one of modern Rome's most popular tourist attractions. A traditional legend holds that if visitors throw a coin into the fountain, they are ensured a return to Rome. Among those who are unaware that the "three coins" of Three Coins in the Fountain were thrown by three different individuals, a reported current interpretation is that two coins will ensure a marriage will occur soon, while three coins leads to a divorce. 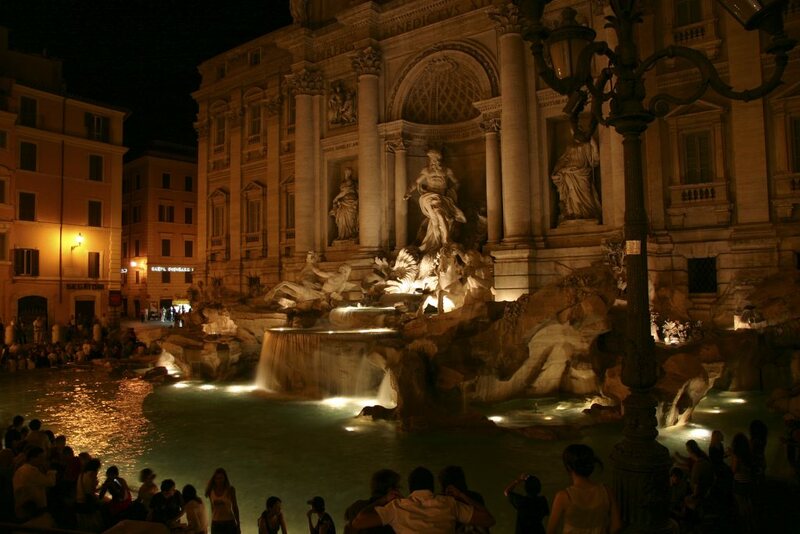 A reported current version of this legend is that it is lucky to throw three coins with one's right hand over one's left shoulder into the Trevi Fountain. 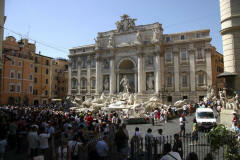 Approximately 3,000 Euros are thrown into the fountain each day. 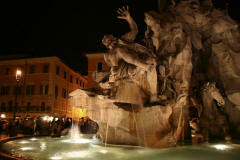 Piazza Navona is a square in Rome and the pride of Baroque Rome. 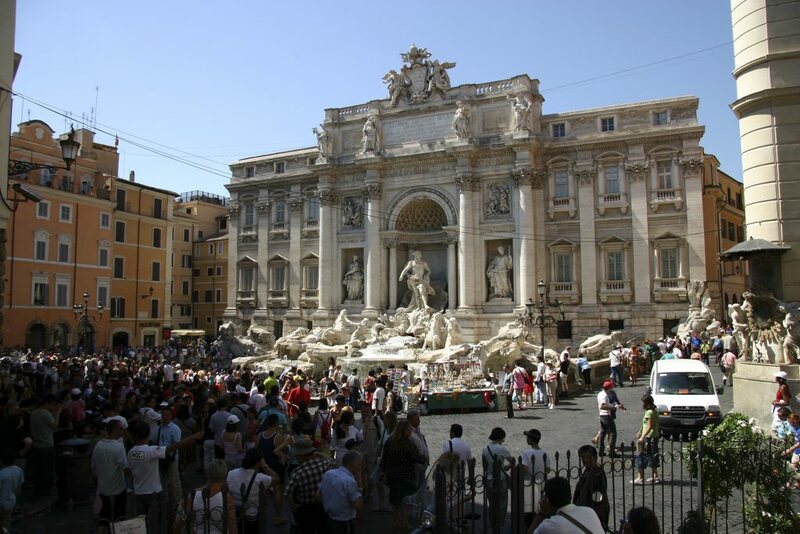 It has sculptural and architectural creations: by Gian Lorenzo Bernini, the famous Fontana dei Quattro Fiumi (Fountain of the Four Rivers, 1651) in the center. 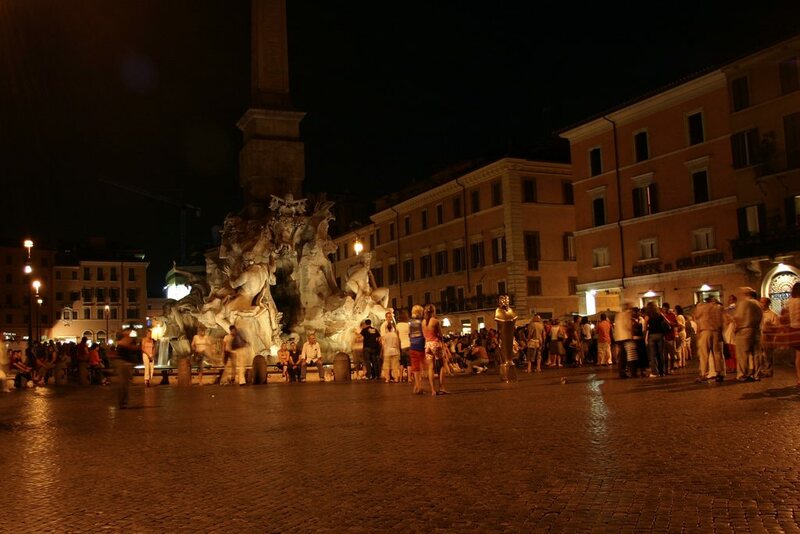 The Fontana del Nettuno at night. 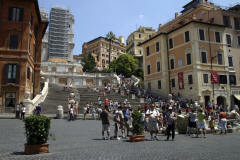 The Spanish Steps is a set of steps in Rome. The monumental stairway of 138 steps was built with French diplomat Étienne Gueffier’s in 1723–1725, linking the Bourbon Spanish Embassy to the Holy See. 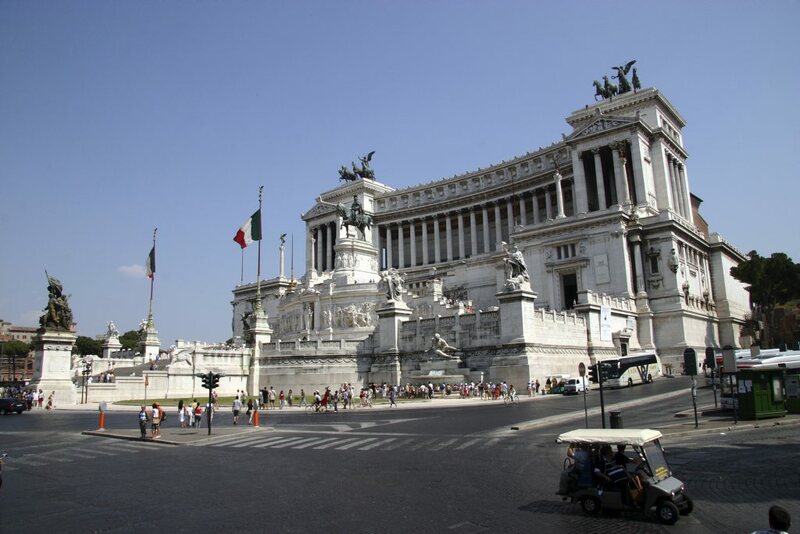 The Piazza Venezia is a piazza in central Rome and it is dominated by the imposing Victor Emmanuel II monument. 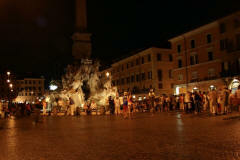 This is the large central square in the hub of Rome. 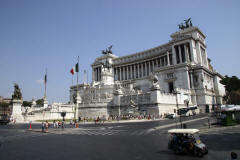 Piazza Venezia has a constant stream of traffic, yet no traffic lights. Instead, a white gloved traffic police officer stands on a block and directs traffic. 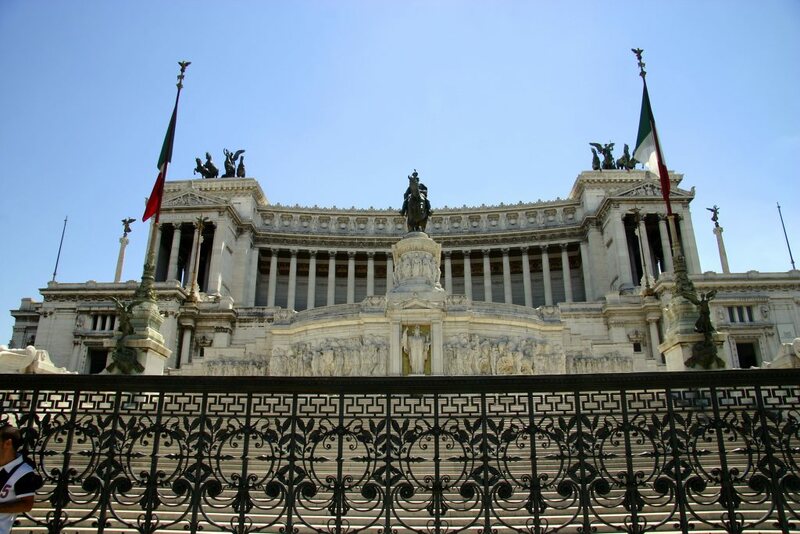 The Monumento Nazionale a Vittorio Emanuele II is a monument to honour Victor Emmanuel, the first king of a unified Italy. 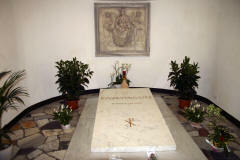 The monument was designed by Giuseppe Sacconi in 1895. It was inaugurated in 1911 and completed in 1935. 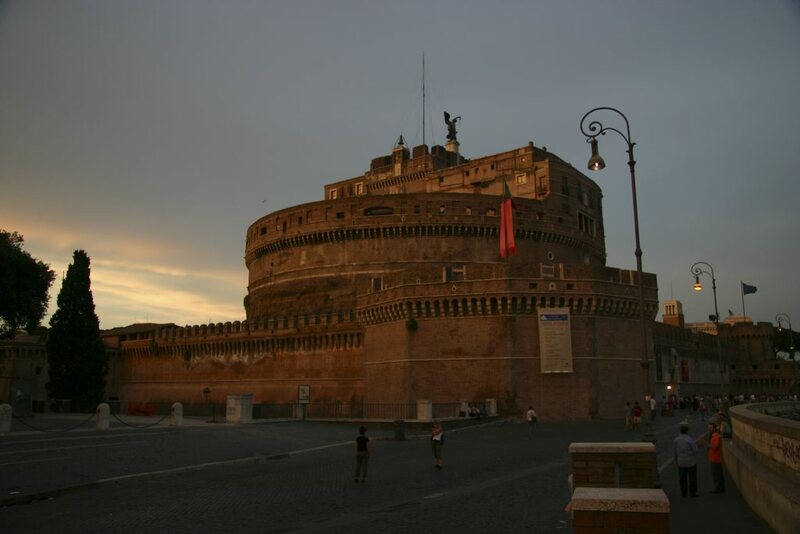 The Mausoleum of Hadrian, usually known as the Castel Sant'Angelo, is a towering cylindrical building initially commissioned by the Roman Emperor Hadrian as a mausoleum for himself and his family. 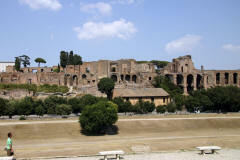 The building has spent over a thousand years as a fortress and castle, and is now a museum. The popes converted the structure into a castle, from the 14th century; Pope Nicholas III connected the castle to St. Peter's Basilica by a covered fortified corridor. The fortress was the refuge of Pope Clement VII from the siege of Charles V's Landsknecht during the Sack of Rome (1527). © Copyright on all photos.